Curl lovers listen up! The new Babyliss Pro Perfect Curl is about to challenge the humble barrel tong in the market for beautiful tendrils. At around £169 it is pricey but this nifty gadget doesn’t require any winding or hair holding (aka burning fingers). In fact, it’s a faster and more gentle way to curl your tresses. “How does it work” I hear you cry…well, it draws in 3cm sections of hair into the ceramic curl chamber to heat your locks from all directions. It will beep when it’s ready to be released so you won’t be in danger of singeing your hair. The result? Bouncy, natural-looking curls. There are even three timer and three heat settings of up to 230 degrees to choose whether you wanted tighter, more defined curls or looser waves. You can even choose whether the curl spins left or right, perfect for curling away from your face, which is much more flattering. 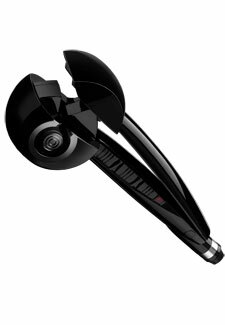 The Babyliss PRO Perfect Curl is available now from sallyexpress.com. Still baffled about how it works? Watch this little video here.